Cute, cute, cute baby quilts and such a nice pattern that will always be in style for the babies. Love that they are girlie but not frilly so they can use for quite some time. You sure do have a good knack for finding just the right pattern for this Thelma….love them!!! 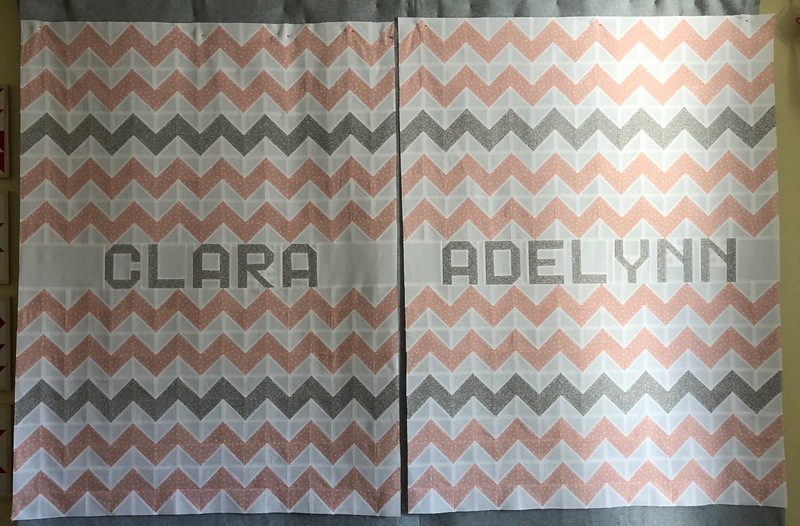 Super quilts for twins, I like incorporating their names. I have the same problem on my blog with comments. I used to receive the comments by email but no longer, and I only see them if I open the post. While I can comment on a comment in the post, the original commenter will not receive my reply. The quilts are precious. The fabrics read as solids in the first pictures that I saw of the quilts. My brother has twin grandchildren - a boy and a girl. I made quilts for them and used the same fabrics in each quilt and placed them differently. I made them more modern (at least for me). I did not put a border on the quilts and just put a one inch sashing between each block. I had quilted the quilt even though I machine pieced the quilt. I put a label on the back of each telling a little about the name of each child. The children each have three names plus their last name, so I picked out some part that I knew something about from my side of the family. For example, the boy has part of his paternal grandmother's father's name in his name. So, I put red and blue stitches around his white label in memory of his service in WWII. I also mentioned that dad's paternal grandfather (my dad) served in WWII, too and they had been friends since youth. The girl has her paternal grandmother's name in her name. I put daisies around her label because that is Grandma Lynn's favorite flower. I also looked up what the meaning of their names and put that on the label. After the quilts were received, my nephew showed his dad the labels as the first thing. Now I have no contact with anyone in my family - not because of the quilts. It's because of childhood abuse of me by my brother and lack of remorse and acceptance. I spilled the beans and I'm the bad one not my brother. Anyhow, thanks for sharing the lovely quilts. 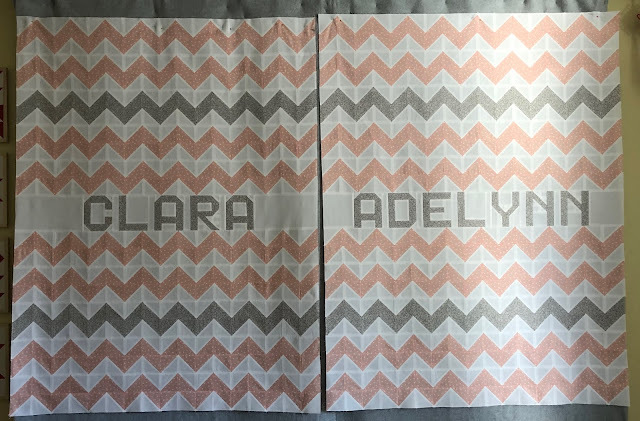 Where did you find the block letter pattern for the names? Very nice! Your first response was the same as mine would have been...I'll make a quilt! And you made two beautiful ones! These quilts are beautiful! I am looking for soft pinks for a quilt for my new granddaughter...do you know what fabric your pink polka dot is?? Thanks!! Perfect! Love these little quilts!